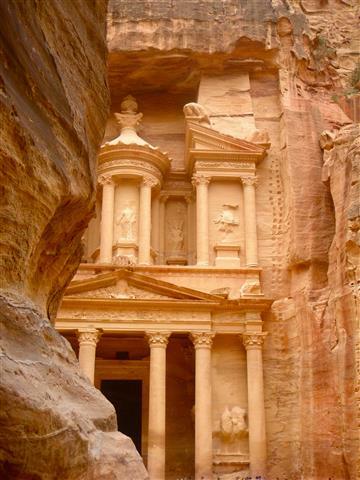 Petra is an inheritance that was left by the Nabateans over two thousand years ago. 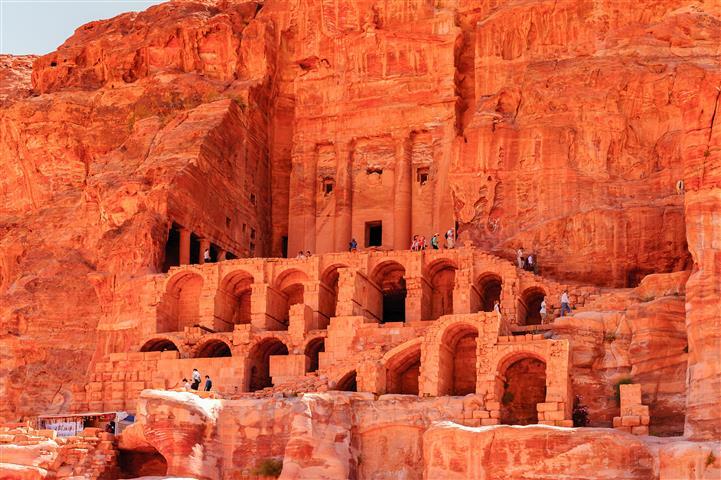 Petra was a refuge or sanctuary in ancient times. By entering what is called the Siq, a long passageway that is a crack between two mountains, get your first look at the Treasury, a facade carved in the mountain. There is an amphitheater, where you can see the tombs sticking out in between the seating. There are crypts, statues, water cisterns, caves, and more. Cairo is the largest city in the Middle East, and the most populated. 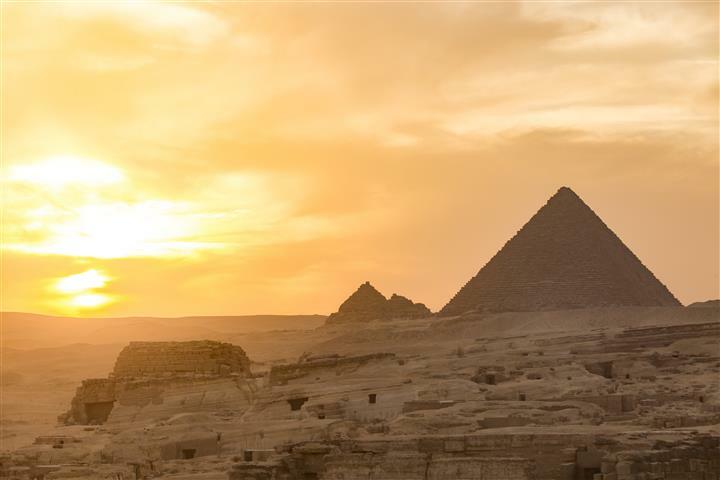 It is home to the Egyptian Museum, with the largest collection of artifacts in the world today. 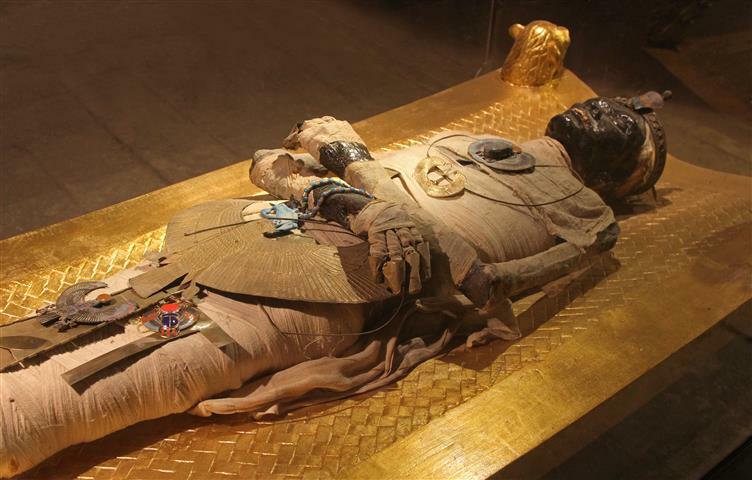 They have masks from the pharaohs, statues, ancient coins, crypts, paintings, and much more. The pyramids were built to house the dead pharaohs. They designed many pathways to fool robbers. 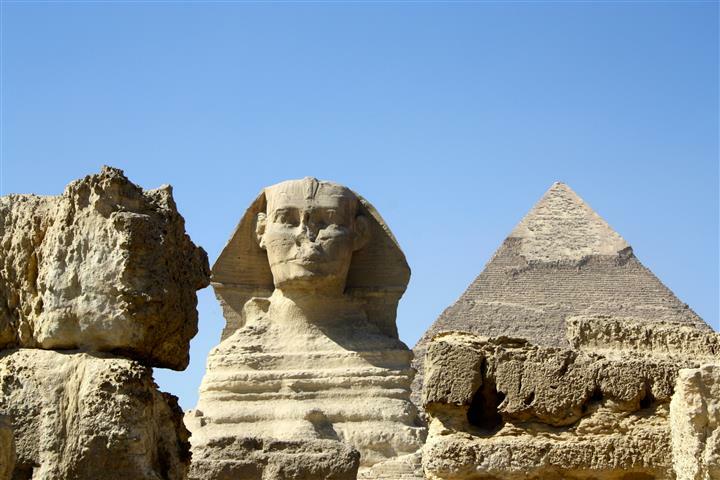 The sphinx is one of the largest statues in the Middle East, with the body of a lion and the head of a man. We will start our tour at 08:15 AM from the city of Eilat, we will pick you up from your Hotel in Eilat or any point in Eilat , we will then continue to the Arava Border and pass the border to the Jordan side. Our representative will meet you there . We will continue our drive to the Petra site, the drive takes about 3 hours. Tour Petra with your guide. Visit the famous Treasury, the amphitheater, and much more. After visiting Petra you will have lunch at a local restaurant. Estimated time of return to Eilat is 19:00. After returning to Eilat we will have a rest time untill 22:00 PM. Then we will pick you up again to start the Cairo tour . We will drive to the Taba border of Egypt and cross it. Then we will eat lunch and go to the hotel for dinner and overnight in 4 star hotel. Breakfast at the hotel and travel through Cairo; to the Sakkara Valley and the old city of Cairo. After lunch we will go back to the Taba border crossing. Arrival in Eilat 24:00. Overnight hosting in a 4 star hotel(half-board). Single supplement $60, in high season $70. Visa for Egypt $50 per person (we can make it for you at the border). Voucher and via/tax/tip money in cash (payable in U.S. dollars, Euro, Pound Sterling or Israeli Shekel).